I’m about to date myself. Seriously date myself. One of my fondest childhood memories was sitting down in front of the Zenith black & white television set in the living room with a glass of milk and a cookie and watching The Mickey Mouse Club. When the theme song would come on, I’d jump up out of my little chair and march around in a circle, just like Mickey Mouse did, and sing along “Who’s the leader of the club that’s made for you and me?” I can still see Jiminy Cricket dealing out the cards that spelled M-I-C-K-E-Y M-O-U-S-E, and Donald Duck trying to steal the limelight. You’re probably not old enough to remember that, at least the first time around (there have been several reincarnations of the Mickey Mouse Club show since), but the show is an American icon that everyone is familar with. I was reminded of the Mickey Mouse Club theme song while I was contemplating the meaning of “leader” as it pertains to Boy Scouts. If Boy Scouts is a boy-led organization, what role do the adult “leaders” play? Who is the leader of the club? Are we really supposed to be “leading” anything? If our job is to train youth leaders, watch out for their safety and handle the adult tasks they can’t handle yet, does that make us adults “leaders” in any sense of the word? Ask most people who aren’t involved in Scouting who they think the leader of the troop is, and they’ll tell you that it’s the Scoutmaster. This image is borne out from stories to cartoons to movies like Follow Me Boys where the Scoutmaster is out front, running the program and leading the boys in meetings, hikes, camping and other activities. It seems the stereotype is that when there is no adult “leadership” around, the boys only get into trouble. The problem is compounded within Scouting because nearly all our adult troop members were once involved in Cub Scouts, many as den leaders or Cubmaster, and it was their job to develop and conduct the unit program. It’s a difficult and rocky transition to one of mentoring and oversight, leaving the actual “leading” to the boys. But let them lead we must. Scouting is unique in that sense. Think of all the other youth groups around – church groups, sports teams, band – and nearly all are led by adults who plan the activities and oversee operations. Go back to the roots of Scouting and you’ll see how we are different. Scouting happened because boys, not adults, formed patrols and did things. Our founder, Lord Baden-Powell, saw that they were using his writings on military scouting and decided to organize them and provide resources specifically aimed at boys, so they could do better at leading themselves. A few years later, “Green Bar” Bill Hillcourt came to America and defined the Patrol Method, which emphasizes youth leadership and responsibility, and it is a central part of the BSA to this day. Back to the Mickey Mouse Club. “Who’s the leader of the club?” the song asks, and the answer is “Mickey Mouse.” We can presume that Mickey isn’t necessarily an adult, but one of the Mouseketeer peers (Tommy! Annette! Cubby! Karen! Bobby! Doreen! Darlene! ), under the watchful eyes of Jimmie and Roy, whose role was like that of a Scoutmaster. Though the adults were the hosts of the show (even though Roy often had a “what am I doing here?” reaction), the leader of the club was still Mickey. I’m not always comfortable calling adults “leaders” in the Boy Scouting program. We are more like mentors and facilitators. We provide resources so the boys can lead themselves. We use the term “leader” for lack of a better one, but we shouldn’t believe it, and we certainly shouldn’t behave like one. The fine print: The Mickey Mouse Club and the image are undoubtedly still the property of and Copyright by the Walt Disney Company. If anyone from Disney actually reads this blog and objects to their use in this post, please contact me and I’ll make amends. I hope, however, that you’ll allow this “fair use” as a tribute from a lifelong fan. 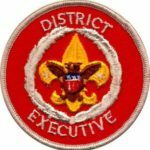 This blog post from Scoutmaster Jerry of The SMM Podcast reinforces this same topic as to who the “leader” really is.